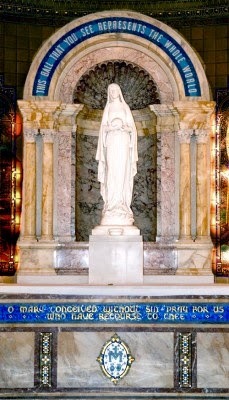 This Thursday I will be going to the Shrines of St. Rita, St. John Neumann, Mary Miraculous Medal, and St Peter and St Paul Basilica in Philadelphia Pa. You may click on each of the names and the websites for each will come up for you to view. What I am asking is if you have any prayer requests to send them my way and I will bring your prayer requests with me on Thursday and pray at each place for you and your intentions. Until tomorrow, God Bless, and may we always pray for each other and each others intentions..
Hilkiah gave the book to Shaphan, who read it. and then read it aloud to the king. and of Jerusalem summoned together before him. priests, prophets, and all the people, small and great. that had been found in the temple of the LORD, read out to them. which were written in this book. And all the people stood as participants in the covenant.